Project pages or summaires of published works. Here I communicate my work to you. 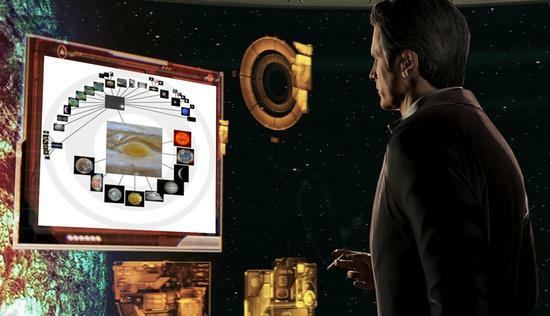 The Illusive Man regards a MoireGraph. Original image via BioWare. As anyone who has been following my Twitter account knows, I am a gamer. I eagerly await the conclusion of BioWare’s Mass Effect trilogy; Mass Effect 1 was the first game I owned on my XBox in 2008, so it has been a long time coming. More pertinent to this discussion, however, is my interest in how video games and visualization intersect. The interplay between visualization and games is the subject of joint work with Dr. Niklaus Elmqvist and his student Brian Bowman that will appear in a future issue of IEEE Transactions on Visualization and Computer Graphics. All original content © Dr. T.J. Jankun-Kelly. The views and opinions expressed in this page are strictly those of the page author. The contents of this page have not been reviewed or approved by Mississippi State University.